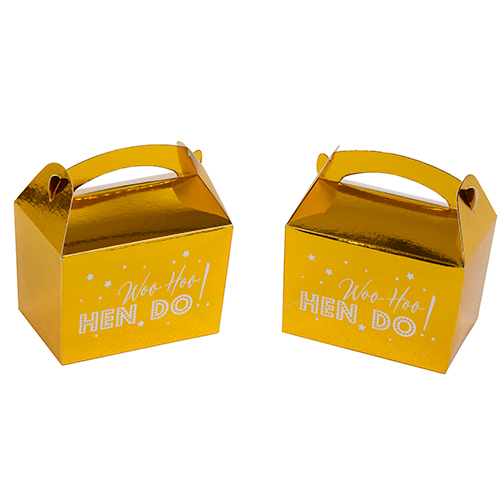 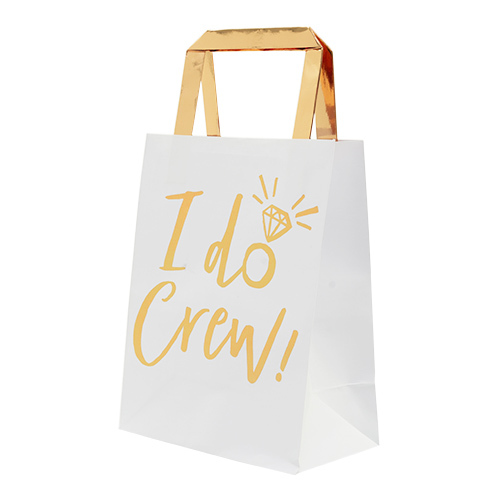 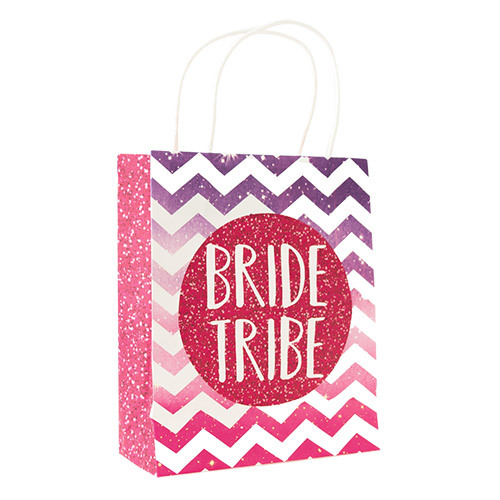 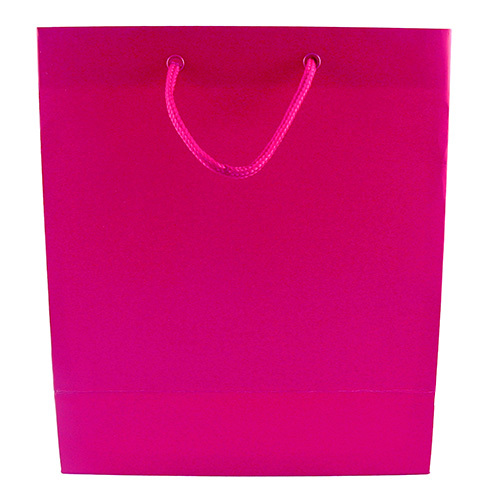 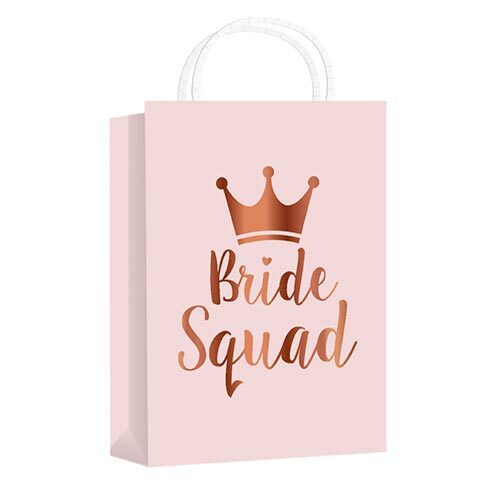 A pack of ten really cute little favour boxes, if you have a few little things you want to hand out to the girls but it doesn't quite warrant a gift bags then maybe these gold Woo Hoo Hen Do favour boxes are exactly what you need. At the widest point they measure 8cm long and 5.5cm wide, they are also around 9cm high if you include the handle, around 5.5cm high if you don't. 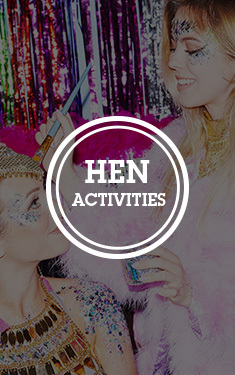 As part of the Woo Hoo Hen Do collection these items go fantastically well with other items from the same range.